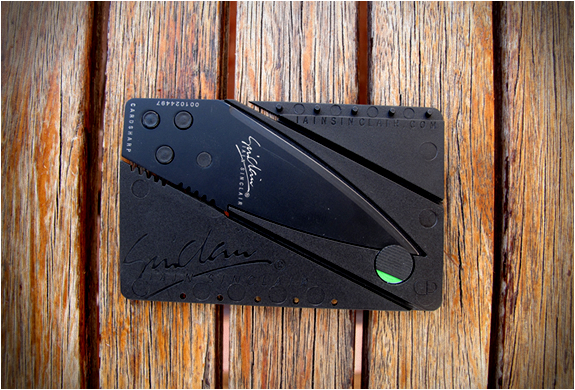 Sometime ago we did a post on the amazing CardSharp by Iain Sinclair. Well, Iain Sinclair Design wanted us to check out the new improved version of the superlight and supersharp utility knife, the CardSharp2. 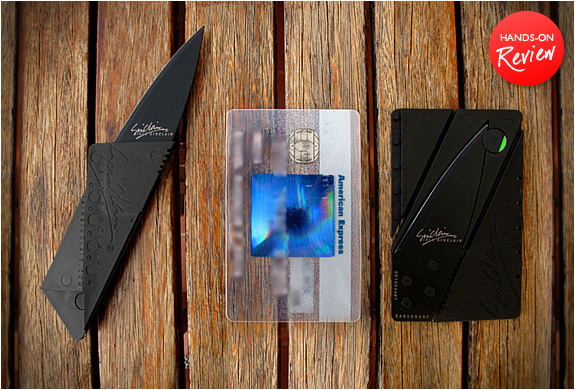 The James Bond style credit card sized pocket knife has some new and updated features, it has a stiffer, polypropylene body (living hinges guaranteed for life), and a unique safety lock (cannot open in pocket or drawer and child proof). With just three ingenious origami style folding operations, metamorphosise the card into an elegant pocket utility tool. Slimmer and lighter than an ordinary knife, it´s extra long stainless steel surgical blade ensures longer lasting rust free sharpness. 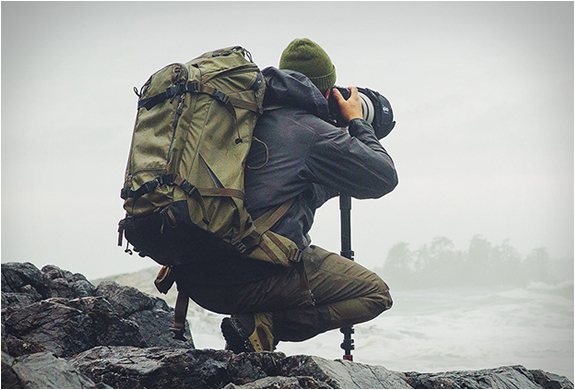 The superlight polypropylene body includes a built-in protective sheath that helps prevent injury or blunting. CardSharp2 is an ingenious conversation piece. A sharp idea that slips safely inside your wallet or kit bag. 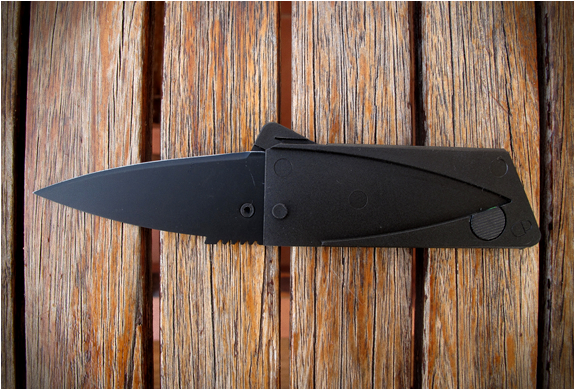 Suitable for camping and expedition use, Cardsharp is an essential outdoor companion/survival tool. The waterproof design is dishwasher proof and will not rust up like conventional penknives - uniquely friction free as there are no conventional hinges. We must say, we tested this thing on a variety of materials, and man...it is sharp! 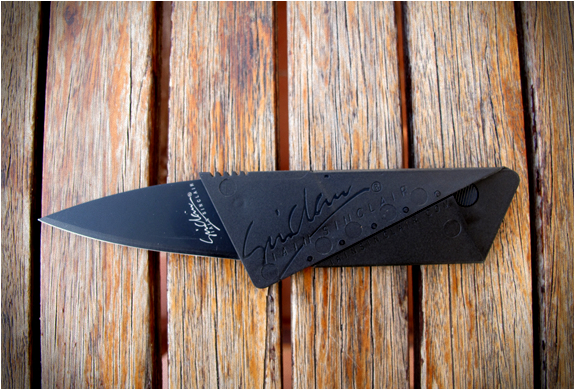 This is a must have for gadget lovers, just pack the 13-gram bladed perfection into your wallet and you e ready to go! LIGHTWEIGHT - 13 grams (regular Stanley® type utility knife weighs around 150 grams, Leatherman® same sized blade knife weighs around 85 grams, smallest Victorinox® Swiss Army penknife weighs around 23 grams). 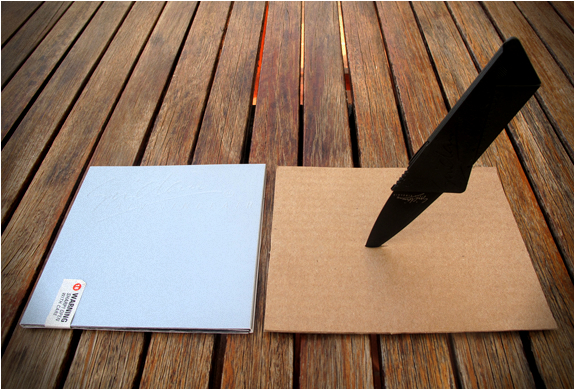 ULTRA THIN - 2.2 mm thick (traditional Stanley® utility knife body thickness is around 25 mm). RAZOR SHARP - Surgical blade technology with extra long 65mm cutting edge ensures longer lasting sharpness (Stanley® utility knife blade edge is only 25mm long). Blade made from high quality rust free stainless steel. Independent testing laboratory; CATRA awarded Cardsharp penknife; VERY GOOD status for sharpness (ICP mm) and life (TCC mm). 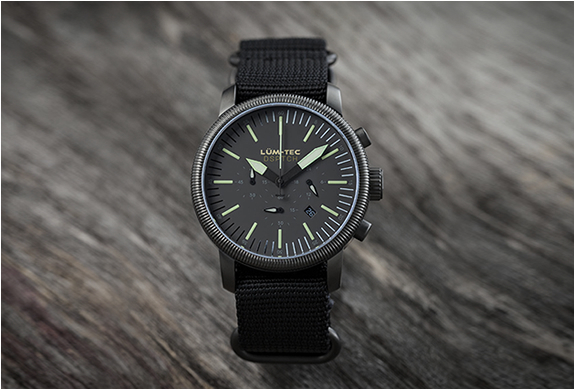 Blade color choice: Teflon Black or Natural Brushed Stainless Steel. SAFETY - Blade edge is protected when stored in wallet, drawer, or kit bag which avoids accidents and blunting (blunting often caused by rubbing against other knives or tools). Integral blade sheath cannot be lost. Protective hilt appears when opened. When docked in closed position, design prevents injury. Cannot fold accidentally (as some folding pocket knives). Blade is locked solidly in open, cutting mode with no blade tremor allowing accurate precision cutting. PERMUTABILITY - Highly suitable for customization by pad printing or invisible label (printed 1-4 color lithographic) and/or custom laser engraving blade - please email us if you have a promotion inquiry). 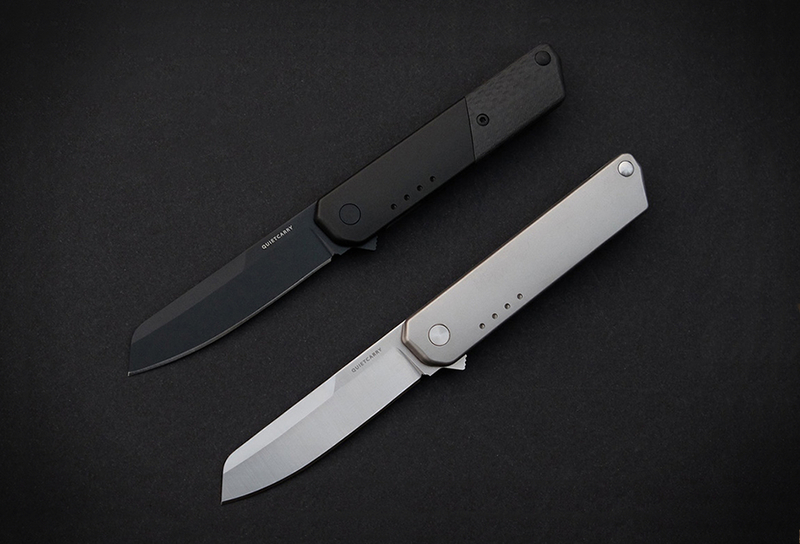 LEGAL - Blade is under 3” (76 mm) and is visible when closed so easily identifiable as a knife (optional clear body versions show blade from both sides - P.O.A). Note: legal restrictions vary internationally.